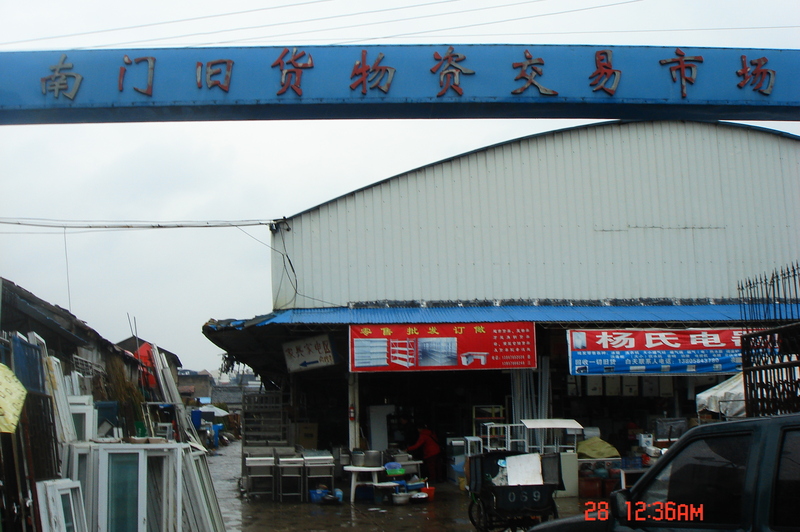 This junk market which is located in Haishu district (Zuguanshan Road No.111) is a member of the Chinese Association for Second-hand. 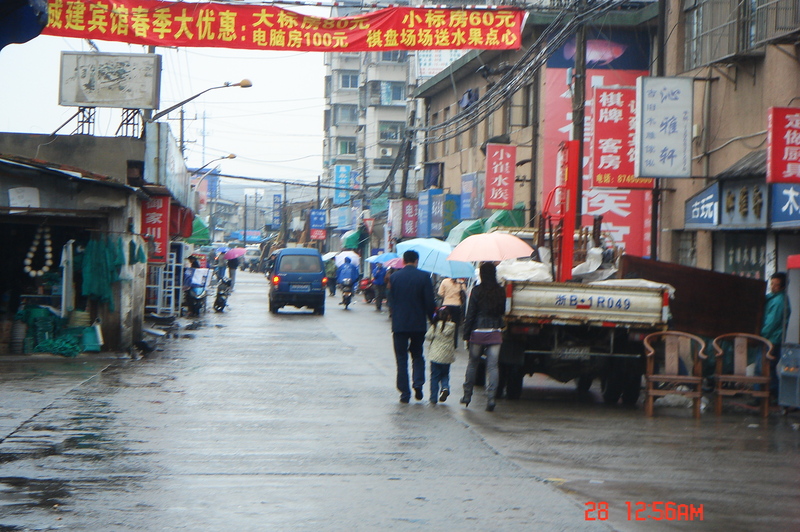 Actually, most of the enterprises in this second-hand market are family businesses. If companies and individuals don’t know how to deal with the wastes, they can make a phone call to the recycling businesses. The recycling businesses will send an employee to give a door-to-door service and value the waste things. When they reach an agreement to the price, wastes will be purchased by the recycling businesses. Some discarded and old products such as televisions will be processed and repaired in order to resell. 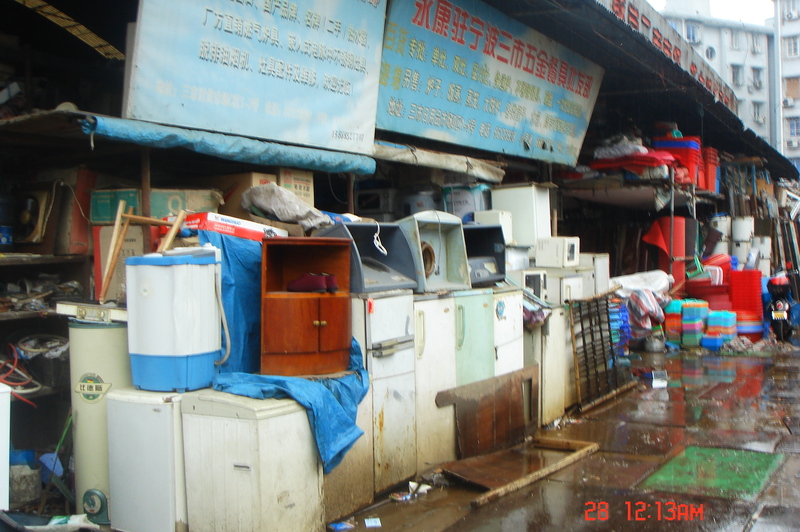 This junk market is in the combination area of rural and urban, so the surrounding environment is not so good. The hygienic conditions are poor. Dwellers here live a suffering life. 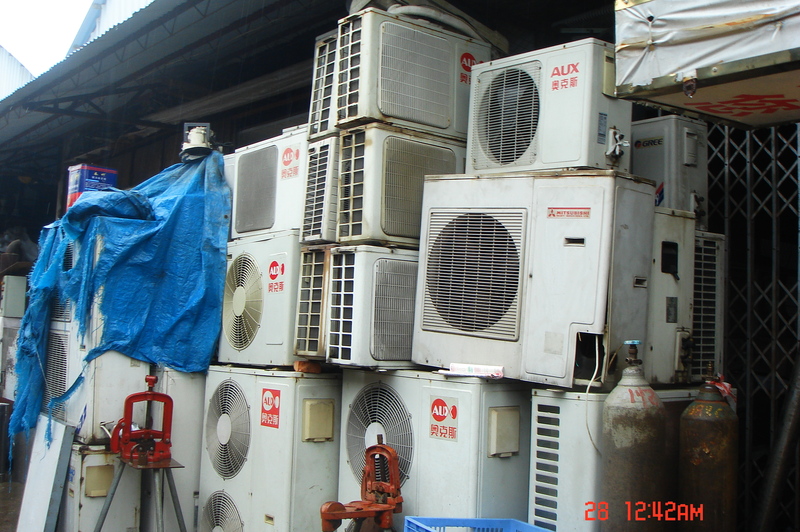 According to the official statistics given by the Sanitation Department in 2008, there are around 1,740 enterprises which are engage in recycling renewable resources in Ningbo. More than 32,000 people are employed in recycling jobs.